We see them all the time, from our own back porches and on walks. We hear their songs all the time, filling the air with sweet melodies that make us smile. There are birds all around us. However, sometimes it’s fun to go on a walk on a trail and go seek them out. See where they nest, where they eat. It’s always amazing to see them in their natural habitats. Here at Ledges Hotel, we are blessed with enjoying birds in their natural environment all the time. 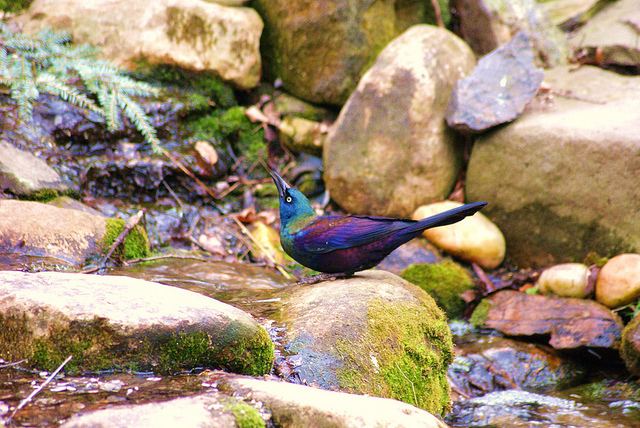 We also have some amazing places we recommend our guests to go to enjoy our birds. Here are some of our suggestions for great places to go birding as well as a fantastic event we get excited for each year, the World Series of Birding. The first place we suggest to go birding here in the Pocono Mountains is Promised Land State Park. What makes this area such a great place is that there are over 3,000 acres of forest to discover. There are trails criss crossing all around it. Also, there is a lake in the Promised Land State Park that is home to many species of birds. One special resident is the bald eagle which makes trips to and from the park on many occasions. Another wonderful place to go is the Delaware Water Gap. Filled with amazing things to do, birding is one of their most popular activities. You can see falcons, eagles, as well as many different species of birds within the confines of the 70,000 acres that they call home. Be sure to check out all of the different places the birds could be. Now, let’s talk about the World Series of Birding. The World Series of Birding will be held on May 9th this year and is a truly spectacular event. If you have never heard of the World Series of Birding, you will be pleased to learn that this is one of the most important in the nation. The reason being is that it is a huge, and very fun, fundraising event that benefits many conservation projects. Participants in the World Series of Birding create their own custom fundraising page that they in turn share with family and friends to help raise money. Not sure what all is in store at the World Series of Birding? Be sure to check out their About WSB page to find out answers to all of your questions. The main objective in the World Series of Birding is “ to tally as many species of birds by sight or sound.” This is what makes the World Series of Birding so much fun is doing your best to raise money. There are many levels of participation, including competitive and non-competitive, a level for children, and a level for seniors. Besides having fun, the objective to the World Series of Birding is to bring about awareness to a host of aspects about birds. Some of those include the migrating habitat of birds, it brings together birders of all levels of experience, it focuses attention on all of the fun of birding, and lastly is raises a lot of money for conservation. As you can see, the World Series of Birding is truly a spectacular event. It’s events like the World Series of Birding that gets us at Ledges Hotel thankful to live in such an amazing area. What’s also great about the World Series of Birding is that you can be in any part of New Jersey to look for birds. New Jersey is just a short 40 minute drive from us in Hawley which would make a stay at Ledges Hotel a very good choice in places to stay. Our beautiful hotel captures the essence of the Pocono Mountains in our renovated glass factory. Visitors enjoy our modern amenities and are proud to stay with us and take part of our green initiatives as well. Contact our amazing staff today and come book your stay at Ledges for the World Series of Birding. Spend an Afternoon at Galen Glen Winery — Up For a Little Adventure? Go Delaware River Rafting!